It appears that WWE has Seth Rollins' first challenger lined up for his newly won Universal Championship: "The Scottish Psychopath" Drew McIntyre. Being the champion means one thing: a target on your back. Not even 24 hours after WrestleMania ended, the new Universal Champion had a challenge set to him by SmackDown’s WWE Champion, Kofi Kingston. That match would ultimately turn into a tag team match against The Bar (Cesaro and Sheamus). Now, however, it appears that WWE has Rollins’ first contender for his newly won championship. Advertisements for WWE’s Live Events have listed Seth Rollins vs Drew McIntyre. 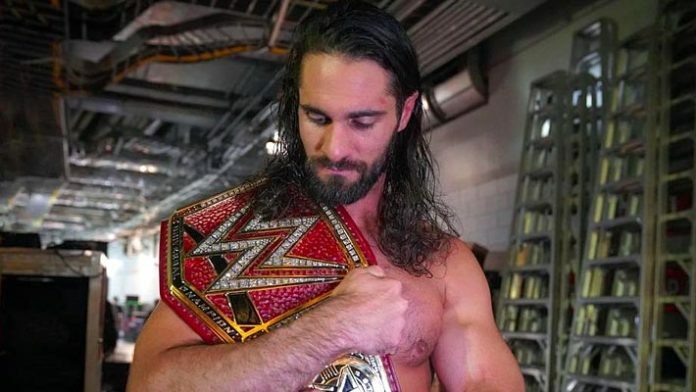 This suggests that WWE is testing the waters for an eventual challenge from McIntyre for Seth’s belt. His loss at WrestleMania 35 to Roman Reigns doesn’t seem to have dented McIntyre’s chances or his main event spot. Originally referred to—by Vince McMahon himself, no less—as “The Chosen One,” it appears that McIntyre has firmly cemented his place as one of RAW’s top Superstars. Granted, the Superstar Shake-Up could change these plans if one of the men is drafted to another brand. In lieu of that, however, it seems that The Beast Slayer will have a Scottish Psychopath to contend with. Previous articleRoman Reigns’ Next Rivalry Revealed?